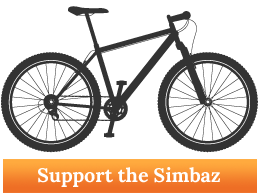 The Safaris that the Simbaz run are lengthy rides into those incredibly scenic, yet hard to reach areas. They can be from a full days ride down to Lake Magadi to several days of cycling that can take you through the parks of Kenya and anywhere you desire. Perhaps one of the best rides we do is from Nairobi to the Indian Ocean. A ride that covers over 500km in a week and takes you past Mt Kilimanjaro and on to the deep blue shores of the Indian Ocean. Rides are tailored to the groups ability and size. Contact us for more info.